We offer two versions of R-Wipe & Clean: for Windows PC and for Mac computers. Free fully functional 30-day trials for evaluation purposes are available for both R-Wipe & Clean versions. When the trial time is over, the fully functional Windows version will turn into R-Wipe & Clean Lite which will continue to clean the most essential computer traces. R-Wipe & Clean for Mac automatically discovers and erases a large number of user, system and application cashes, traces, and logs to eliminate traces of your online and offline activities. 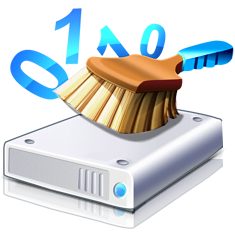 The program also cleans traces for more than 100 Mac native and 3rd-party applications including most modern Internet browsers, iTunes, iBooks, iPhoto, iMovie, and Adobe software. Before cleaning, you may inspect various details for most items you're going to erase. Supported OS: Mac OS X 10.7 Lion, 10.8 Mountain Lion, 10.9 Mavericks, 10.10 Yosemite, 10.11 El Capitan, macOS 10.12 Sierra. A new graphical interface designed for devices with touch screens with various resolutions: tablets, laptops with touch screens, etc.. In addition to its modern look and animation, Touch Interface is adapted to the way the users control their touch screen devices: by swiping and tapping. It provides access to all controls and settings of R-Wipe & Clean, so users with non-touch screen devices may use it too, to enjoy its original stylish appearance. Touch interface is available in the trial and full R-Wipe & Clean versions, and is not available in R-Wipe & Clean Lite. A free version of R-Wipe & Clean that can clean most essential traces. R-Wipe & Clean trial version will turn R-Wipe & Clean Lite upon ending the trial period. * On SSD devices, files are rather being deleted than wiped. You can manage that using the R-Wipe & Clean for Mac preferences. Erase files using strong or fast wipe algorithms, including DoD-approved. Files can be erased directly from Finder. Save predefined wipe lists of files and folders to be erased through a single task. Combine all cleaning and erasing tasks in different erasing procedures launched manually or at scheduled times or events using Scheduler. Combine all cleaning and erasing tasks in different erasing procedures launched manually or at scheduled times or events. Start erasing procedure automatically as a background task. Detailed representation of all records of on and offline activity on your computer. Customization so only necessary items are visible in R-Wipe & Clean for Mac.